When Debra Silverman was 20 years old, she met an astrologer who blew her mind and changed her world forever. She had officially been introduced to the world of Astrology. She realized quickly that she had found her life’s purpose. Debra went on to study the mind and body, earning a Bachelor’s degree in Psychology & Dance from York University and a Master’s degree in Clinical Psychology from Antioch University. 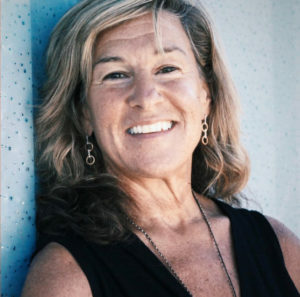 Over the past 37 years of professional experience and private practice, she has specialized in helping thousands of individuals achieve emotional health and wisdom based on their unique personality and the four elements: water, air earth, and fire. Her book, The Missing Element, is available now. Give Debra Silverman the date, time, and location of your birth and she’ll have you figured out in a matter of minutes. After sitting with her for half an hour, you’ll likely feel that she knows you better than you know yourself. Debra’s approach to astrology is complimented by her background in psychotherapy. Simply put, she understands people. Her deep compassion provides a container for clients and students to learn more about themselves without judgment, to accept themselves as-is, and learn to work with their unique nature for their own highest good. To learn more about the Star Community, or to book an appointment with Debra or one of her Certified Astrologers (I can personally vouch for Kiki Erickson! ), please visit her website. Song credit: Trevor Hall, What I Know. Click here to listen to other recent interviews by Eat Like a Yogi.